I have the distinct pleasure to be knitting a few hats and scarves for Christmas presents this year and believe it or not, I’m on the ball! 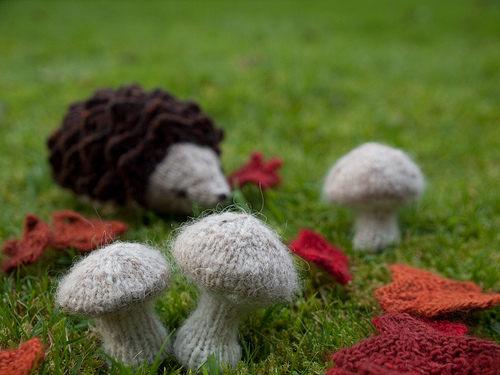 I know this sounds impossible but I’m sure I’ll finish all my HAVE TO knitting and then pick up a few projects that start out as MAYBE THESE WILL GET DONE and become THESE ALSO NEED TO BE DONE AND ITS DECEMBER 24TH items. 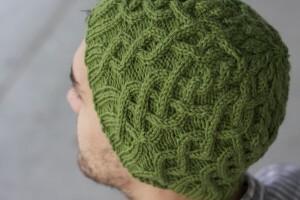 Anyhow, if you are knitting for a dude I highly recommend the Habitat hat by Jared Flood. 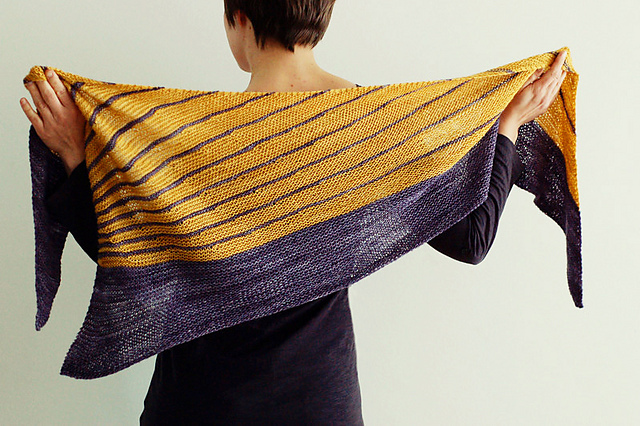 This pattern is not necessarily for the faint of heart when it comes to cables. There is cabling in this hat. A lot of it. Sometimes every row. It drove me a little nuts at times but it’s so few rows to really worry about and the overall effect is marvelous. I knit this one up in Louet Gems Worsted so it’s nice and washable for an easy care individual. There is definitely still time to bust out more than one of these before the merry deadline. 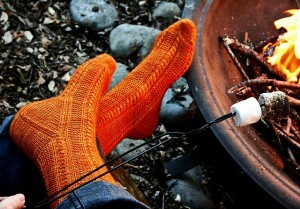 There is something wonderful about a pair of handknit socks. Something pretty, functional, and warm, a little of everything. The only thing better than a pair of socks you have knit for yourself is the gift of a pair at winter time. 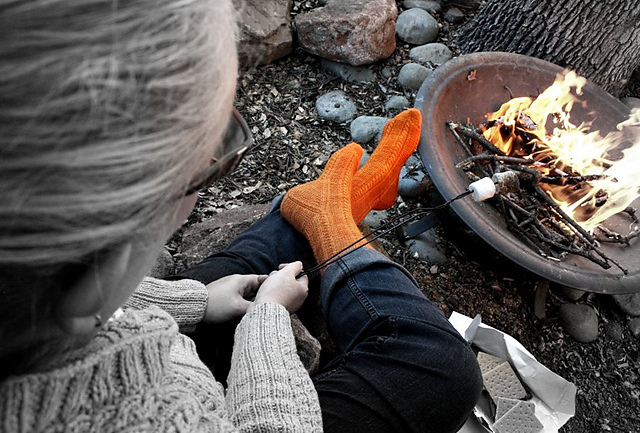 Something cozy by the fire with thoughts of tradition and family and friends. Picture toasty wool enveloping your feet as you sit by the fire and sip delicious dark chocolate cocoa with marshmallows floating lazily (in my case I have to put down the cocoa to knit a few rows every once in a while). I’m not sure if it’s mostly the photography of these socks but as soon as I saw them I had to have them. I’ve got my favorite rosewood DPN’s and a skein of Indigo Moon sock yarn with Paper Moon Socks written all over them! 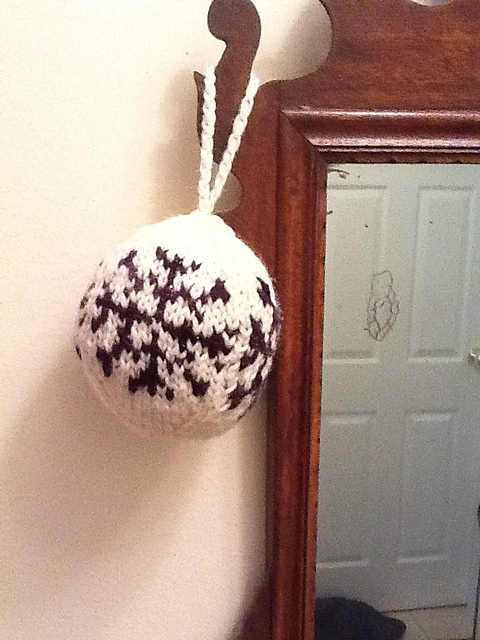 I’ve been scouring books, leaflets, and ravelry for some perfect little Christmas tree items. I’m hoping to mass produce some cute items for my friends and family and to make some little gift toppers so it has to be something small, interesting enough to keep me going, and of course, adorable! 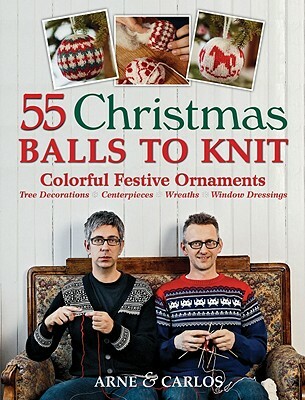 First up is a new-to-me book “55 Christmas Balls to Knit”. I think the front cover sold me on this one, these two look like they would be fun to hit the town with! There are (as they really make clear in the title) 55 lovely Christmas balls to knit. I like this because the basic shape stays the same (and simple) but I can mix it up with the patterns, to keep things interesting. Amanda has already started hers! My other ornament plan is Ysolda Teague’s Little Mushrooms. These are just adorable, for the person with a woodsy tree or more rustic decor. 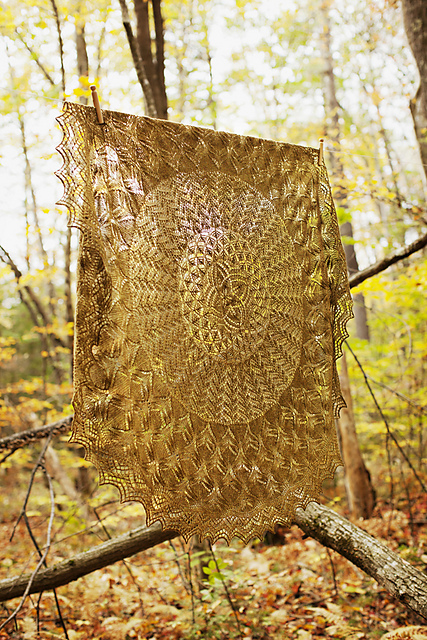 The original pattern is for a weighted mushroom that stands on its own, the stem has coins in it. I plan to skip the coins and just stuff them for an ornament! 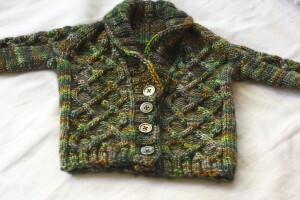 In keeping with my favorite baby knit theme of mini’s I recently knit up this lovely little Gramps Cardigan. 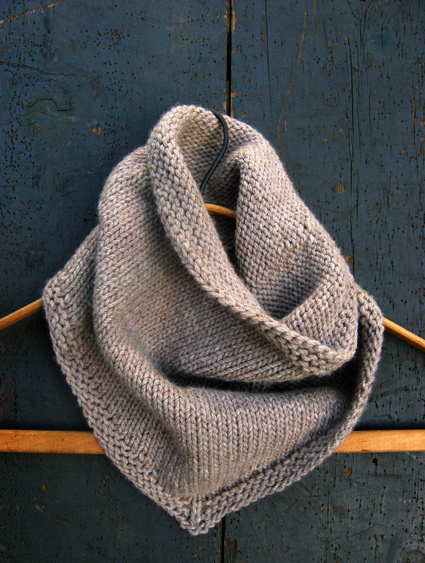 There are a few knits out there designed to replicate the glory that is the old man sweater. I think everyone’s grampa has a signature sweater, something comfortable and likely made with love. A sweater that was probably made by gramma or great gramma. 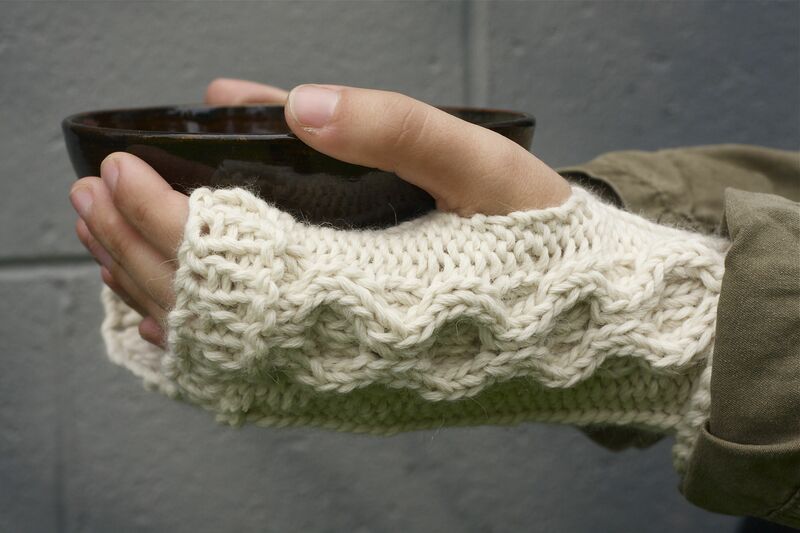 A sweater meant not to just be worn, but to be worn out. 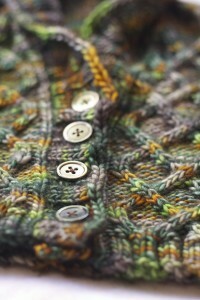 Patches, repair jobs, replaced buttons, all are the hallmark of the grampa sweater. This little number has the cabled lovliness and shawl collar that say: I am a comfortable sweater and I have been made with love! I normally wouldn’t knit this cardigan in such a variegated yarn (Madelinetosh Merino DK in Plaid Blanket), why go to all the trouble of cables if they are just going to be hidden in the changing colours of the yarn? But it really does work. 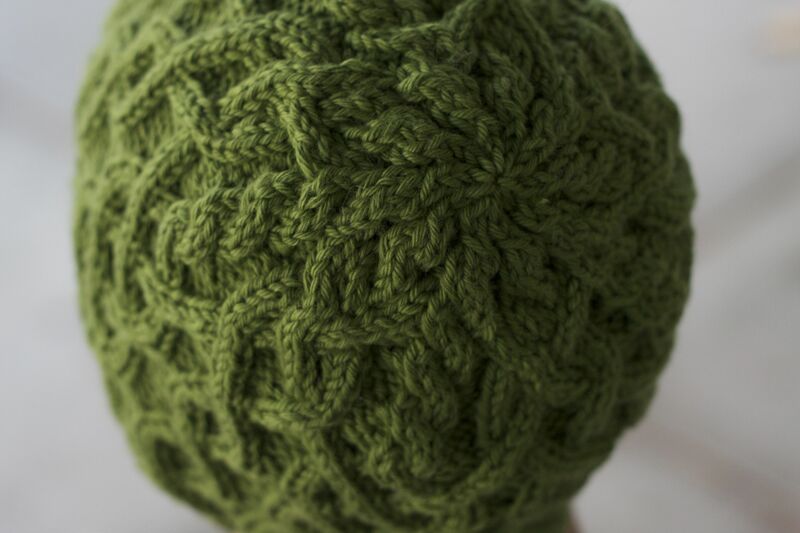 Ann turned me on to this pattern/yarn combo and boy was she right! I have been all consumed with moving this past couple of weeks and now that the dust has settled I realize what I missed the most: knit night! 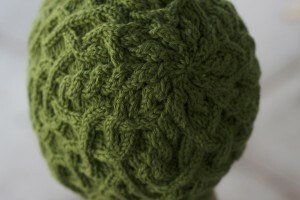 There is nothing better on a Friday night than packing up my latest project (or five) and heading out to knit night. I leave the little one behind for some daddy-daughter time and take a few hours to just be with friends and knitting. If you haven’t been to an Urban Yarns knit night yet, come and give it a try. There are certainly regulars but I promise we won’t bite, new faces really are welcome! It’s always great to chat, complain, and of course: discuss the knitting! 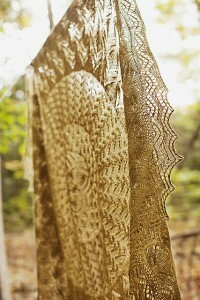 I can always run a knitterly idea by the group and get at least 10 answers to my issue or conundrum. I always request many opinions on colour choices and occasionally for some technique selections as well. Someone will always have an answer to any knitting problem I may have. It really runs the gamut from a knitters anonymous to a ladies tea. 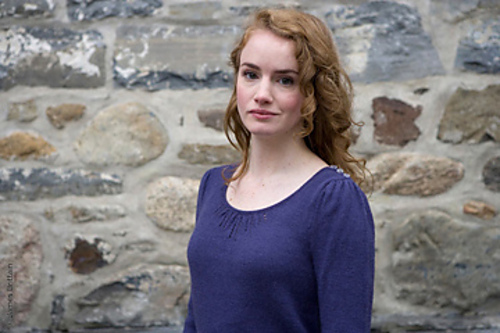 One of the most popular designers of the moment has to be Veera Valimaki of Rain Knitwear Designs. Her shawls and sweaters are simple but always with an element of interest that keeps knitters coming back for more. I recently finished a Study Stripe Shawl and it was a lot of fun to knit. 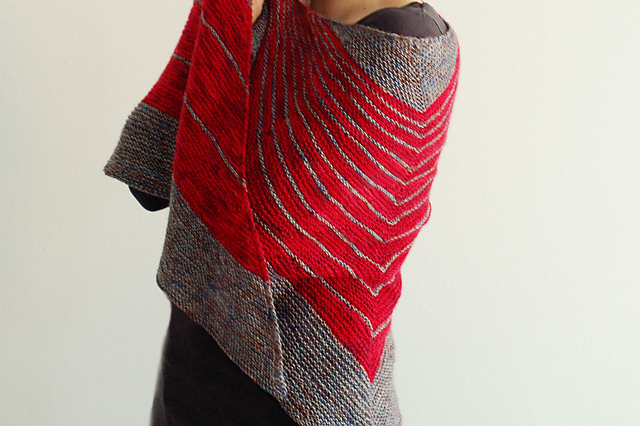 Short row shaping seems to be the element of choice these days and it made my shawl asymmetrical, which it definitely the element of interest in an otherwise garter stitch garment. A similar look is the Different Lines shawl. Both are done with 2 colours of sock or sport weight yarn, a little conversational knitting. I quite enjoy her sweater patterns with their fabulous details. 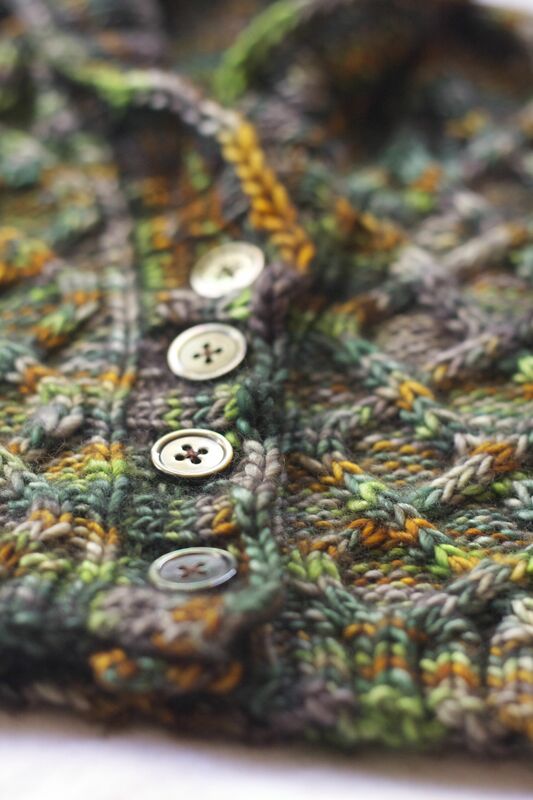 Veera’s photographs and sample colours are so inspirational you can really just picture yourself in such a striking sweater! Tumeric has to be the best named of her sweaters. I could just eat this one! 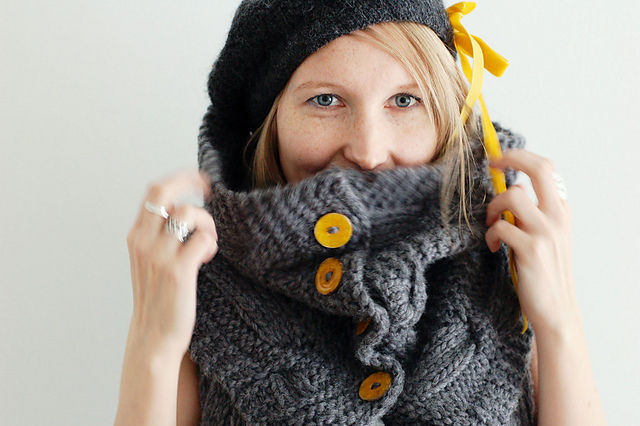 If you are looking for some instant funky gratification the Happy Solitude Cowl is the one for you. 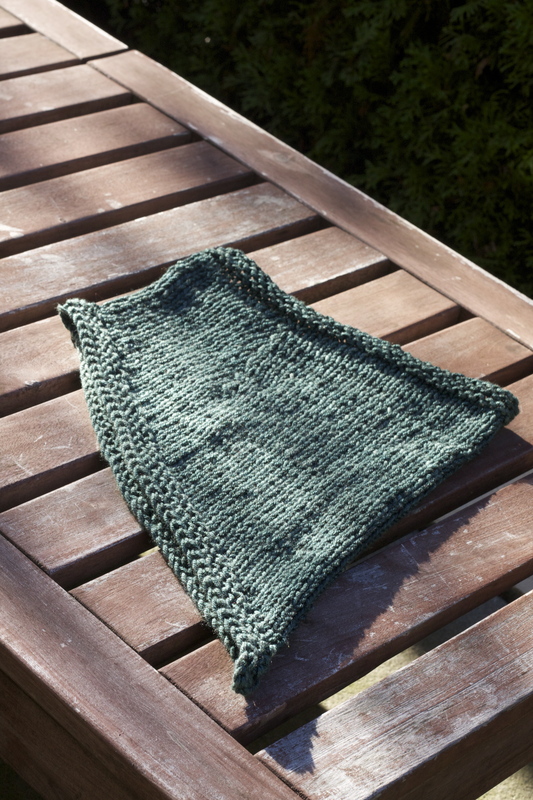 It’s done in Garnstudio’s Eskimo (a super bulky yarn) so it will knit up in a flash as the weather is taking a rather crisp turn around here! I know what I’m getting everyone for Christmas this year! Bandana Cowls! A nice big gauge, one of these knits up in an evening. Perfect to whip up a store for the holidays. I came across this pattern on one of my favorite blogs, the Purlbee (so many great tips and free patterns). 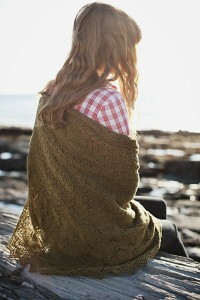 It takes just a little over 100 yards, looks great and can be done in yarns weights from aran to chunky. It’s a great stash buster but of course, I only used some stash on the first 2, after that it had to be Blue Sky Alpacas Worsted Hand Dyes! My mother has kindly requested one in a cream and another friend said oatmeal was the only colour for her, so it seems that neutrals are in for this one. 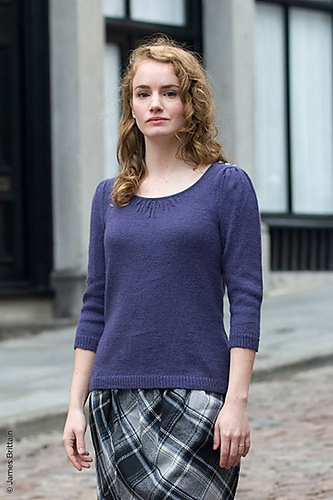 The pattern is simple with short row shaping so if you were looking for a small project as an opportunity to learn a new technique, the time has arrived.